32 Red Casino is run on the Microgaming software which is one of the most reputable software companies in the world. It is operated by 32Red Plc, which is licensed in Gibraltar and they have been in operation since 2000. The software on the casino comes in two versions a downloadable version and an instant play online version. The casino does not accept players from USA. The site offers a variety of well over 160 games including games like Keno and Scratch cards; it has a selection of around 50 table games for a player to choose from including 3 Card Poker, Roulette, Blackjack, Baccarat, Pai Gow Poker, Casino War, French Roulette, Multi-hand 3 Card Poker, Poker Ride, Sic Bo and Vegas Craps. It has a collection of 20 massive progressive jackpots, mostly attached to slot games of which there is a fantastic selection including 40 lines slots and be sure to keep your eye out the free spin and bonus features. Our favourite is the Laura Croft – Tomb Raider slot. And if video poker is more your game, there are over 30 video poker games to choose from. 32 Red offers a welcome bonus of up to £100. It also offers a monthly bonus up to £32. It offers promotions like Red Ruby Awards, Ruby Tuesday and Red Letter Day where players get the chance of winning a share of £1000 worth of chips. 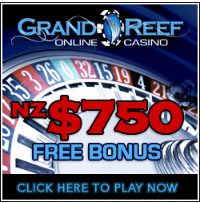 The site also offers slots bonuses from time to time.